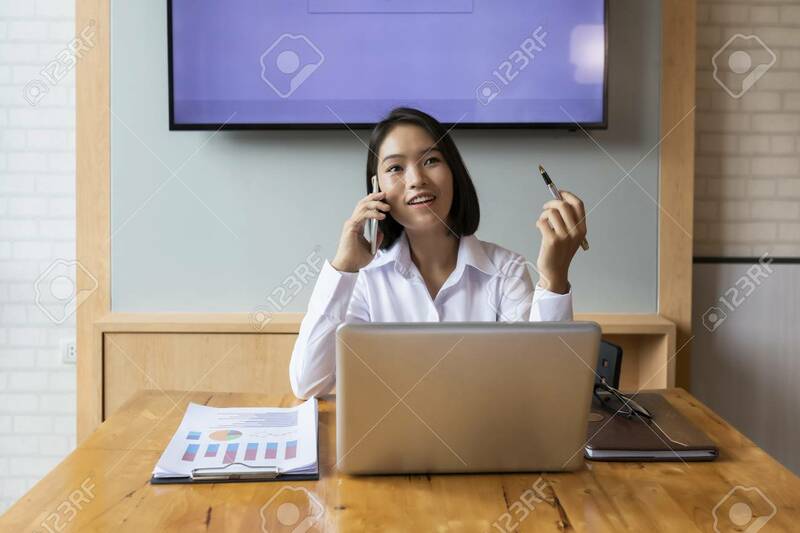 Businesswoman Talking On The Phone And Smiling. Secretary Answering Her Cellphone. Lizenzfreie Fotos, Bilder Und Stock Fotografie. Image 116540555. Standard-Bild - Businesswoman talking on the phone and smiling. Secretary answering her cellphone. Businesswoman talking on the phone and smiling. Secretary answering her cellphone.